And now for something lighter! 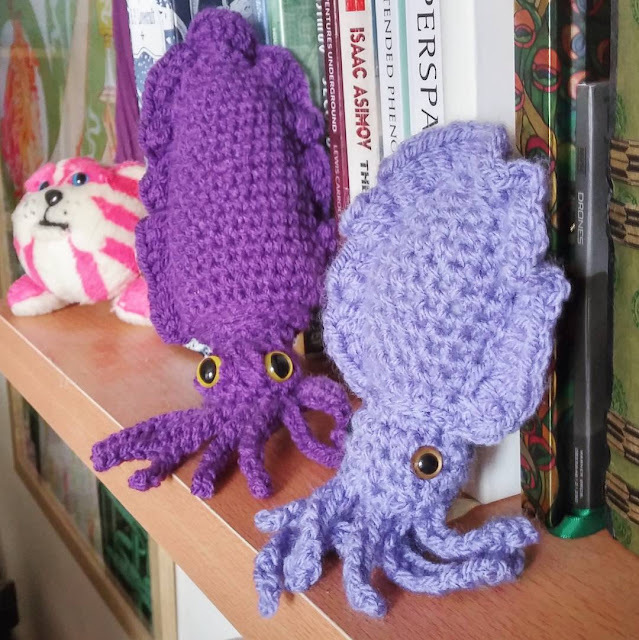 I tried out the free pattern I posted last month to make a crochet cuttlefish, and then made him a friend using a different pattern just to spice things up a bit. I chose these father fetching purple colours which don't have a name or a brand really they're just cheap from The Range. My frugal nature just winces at spending more than about £2.50 on a ball of wool, and the supermarket is good enough quality for me. 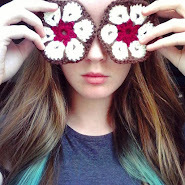 Two different patterns of crochet cuttlefish. The dark purple cuttlefish I made using the pattern already posted on this blog here. It ended up a lot bigger than I was expecting, and the head and body don't really need to be done separately. I do like the almond body shape and the eye bulges though. What I've realised from making these cuties is that I think I could make my own patterns. I've got a good grasp of shapes now and tentacles especially are really fun to make. My next project is a dragon for a friend who'll be in the same purples. If anyone has any ideas or patterns you want to see me try just let me know.